BAKERSFIELD, CA – The SPEARS Southwest Tour Series, with the support of Spears Manufacturing, proudly announces the “SPEARS Frequent Flyer Program” will continue for the fifth consecutive year. For 2016, the “SPEARS Frequent Flyer Program” will award teams a minimum $1,000 for starting a SPEARS Southwest Tour Series main event after they have competed in just three consecutive series races. In 2015, a team was required to have four consecutive starts, but that will change in 2016, as only three consecutive starts will be required to get on the SPEARS Frequent Flyer Program. The SPEARS Frequent Flyer Program rewards a team with a minimum of $600 for their second consecutive series start, with their third consecutive race paying a minimum $1,000 and each consecutive race to follow a minimum $1,000 to start the event. A team’s consecutive race streak carries over from the 2015 season. In other series news for 2016, each race on the 2016 schedule will pay a minimum of $5,000 to win. The final touches are currently being put on the SPEARS Southwest Tour Series schedule of event and rules package for 2016. Celebrating its fifthteen season in 2015, the SPEARS Southwest Tour Series is a regional stock car series competing on paved ovals in the southwestern portion of the U.S. http://www.srlsouthwesttour.com. “The SPEARS Southwest Tour Series…Where the Champions Race”. First of all, Merry Christmas and Happy Holidays to you and your family. May the 2015 holiday season be a joyous one. My name is Matthew Sullivan. For the past 15 plus years I have served as the track reporter for Redwood Acres Raceway in Eureka, California. For the last seven seasons I have also videoed the races at Redwood Acres and posted them on YouTube so though you likely do not know me personally, you have probably seen some of my work. I have been an auto racing fan my entire life of 30 plus years. Racing, particularly short track racing is my life's passion. I grew up going to tracks all over the region and watched great drivers in NASCAR's Southwest Tour and in the open comp days. Racing is as much a part of me and who I am as anything else and the health of short track racing in this region in the country is very important to me. When the RacingWest website met its demise recently, a huge hole opened up. RacingWest was the central hub for west coast short track racing news. Without the website, updated news from tracks and touring series has become harder to find. While track and series websites are regularly updated with news and results, it is much harder for readers to keep up with everything going on when there isn't a central place to read it all. I have started a website/blog in hopes of trying to fill the void that RacingWest left. I want to do what I can to maintain, strengthen and build the reputations of tracks, series and drivers in the region. The site is going to focus on pavement racing, at least for the foreseeable future. Obviously Rome wasn't built in a day and my site is starting from the bottom but I would eventually like to be the leading source for short track racing news in the west coast. While there were many positives to the RacingWest site, there were some negatives. My site will strictly be news and public relations only. There will NOT be message boards or forums on West Coast Short Tracker. I want the focus of the site to be on the racing aspect of everything. There will be NO gossip, rumors or any other sort of underlying inflammatory postings directed at drivers, tracks or series. Again this site is literally in its infant stages but by this time next year, I hope that it is a top resource for racing news. Without you, this is not possible. I would appreciate your adding West Coast Short Tracker to your regular PR email rotation. If you have any questions, comments or concerns please contact me at wcstpr@gmail.com . I look forward to hearing back from you and posting news, results and PR from your tracks/touring series. 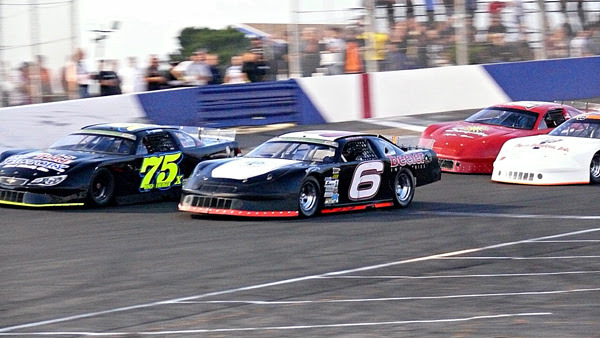 SACRAMENTO, CALIFORNIA (December 14, 2015) - The Pacific Challenge Series presented by PenneyLawyers.com has released its 2016 schedule which will see California's premier Super Late Model Series hit the road for 13 races across five different tracks. "We are thrilled to present this schedule to the teams, fans, and sponsors," Series Director Jeff Munro said. "This is the best and busiest schedule we've assembled in series history and we're looking forward to some great racing!" 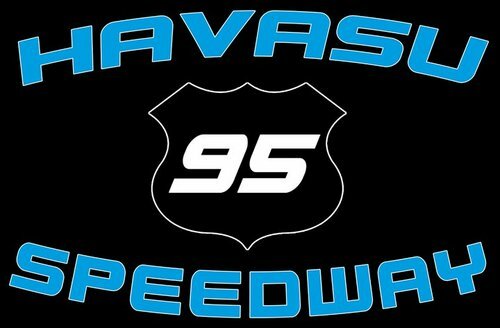 The series begins in a big way on March 19th with their first of two trips to Kenny Shepherd's Madera Speedway presented by Loanmart. Both Madera races will be televised in tape-delay on MAVTV as the first televised races in series history. The series enjoyed a debut race last season that saw 24 cars hit the one-third mile oval with Jeremy Doss outlasting Jacob Gomes for the victory. Pacific Challenge Series will return to Madera on August 13th as well. All American Speedway in Roseville, CA has been a mainstay on the series calendar from the beginning and leads the series with four dates in 2016. PCS invades the one-third mile April 16th along with June 25th during the Placer County Fair and September 24th. The third annual October Classic 100 non points event will take place October 15th during the Bill McAnally Racing Promotions K&N West weekend at the one-third mile oval. Both the June 25th and September 24th races will be paired with the popular North State Modified Series as well. Upper Northern California fans will be served a big dose of PCS action in 2016 as well, with three dates at David Furia's Ukiah Speedway. Super Late Models hit the quarter-mile on May 7th, July 18th, and for the second consecutive season the championship will be decided in Ukiah on October 1st. Shasta Speedway returns to the PCS after a one-year hiatus during June 4th's Bill Schmitt Memorial with the K&N West Series also racing. The 3/8ths mile facility gives the PCS a total of four historic fairgrounds tracks on its agenda. Tony & Carol Noceti's Stockton 99 Speedway will be the host of perhaps the most highly anticipated and hotly contested races on the PCS calendar with the Tri-Holiday Series. 2015 PCS champion John Moore won the Tri-Holiday Championship which he parlayed into a series championship. 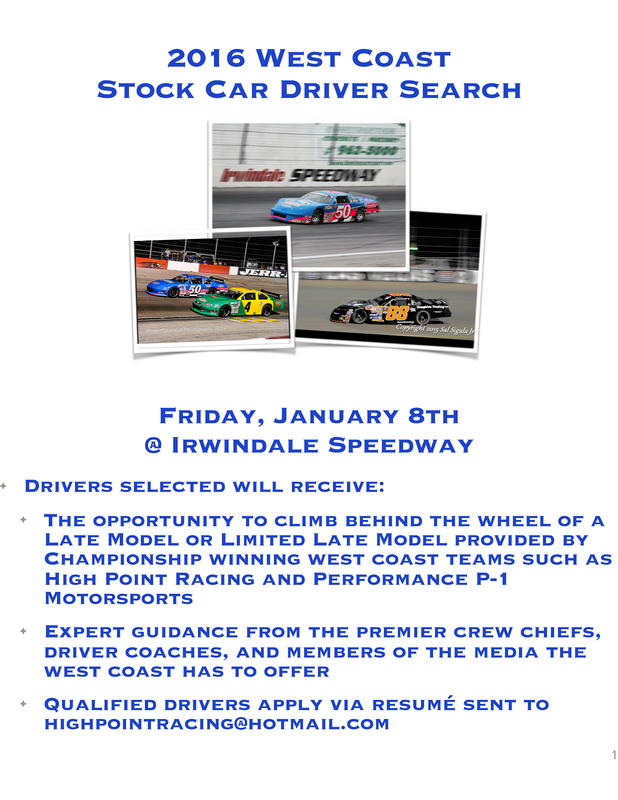 The Tri-Holiday Series is one of the oldest traditions in California stock car racing with 100 lap races on May 28th (Memorial Day weekend), July 2nd (Independence Day weekend), and September 3rd (Labor Day weekend). Moore topped 2014 series champion Mike Beeler of Modesto for the 2015 crown, with both drivers expected to return in 2016. Moore's son Cole was third in the points and won Rookie of the Year honors. Elk Grove's Ron Chunn, Grass Valley's Don Swartz, Elk Grove's Mike Hite, Folsom's Hunter Corbitt, Eagle, ID's Travis Milburn, Upperlake's Jeremy Doss, and Auburn's Austin Gant rounded out the top-ten. 2015 championship awards banquet information is coming soon, the banquet tentatively scheduled for mid to late January on a Saturday night in the Sacramento region. The Pacific Challenge Series is presented by: Penney Racing Supply, Penney & Associates, American Racer Tires, Maita Chevrolet, Compact-It, Northwest Compactors, Naake Suspension, Sunoco Fuels, Five Star Bodies, KB Fabrication, Lefthander Chassis, ARP Bodies, Joes Racing Products, Bassett Wheels, Frank's Radio, Racer Bling, and Blakesley Sports Media. All PCS Super Late Models race ABC Bodies or Muscle Car bodies on American Racer Tires with Sunoco Racing Fuel.